Do you wake up every day feeling exhausted? If you’re struggling without the energy you need to get through each day, you might be suffering from a nutritional deficiency. And with deficiencies of common vitamins like Vitamin D appearing in 75% of the US population, you’re not alone in feeling the drain. But do you know what other vitamins you should be taking? 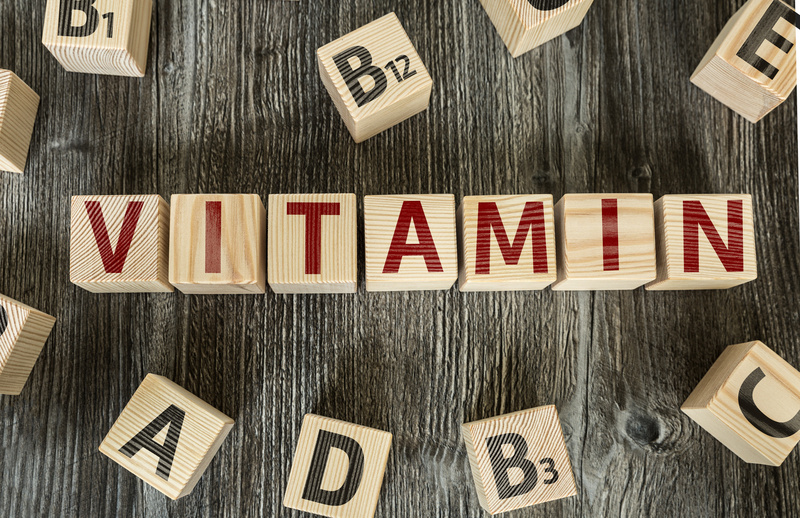 We’ve got you covered with a list of 10 of the most important energy-boosting vitamins and minerals you need to get your health back on track and give you the energy you’re lacking. One of the biggest causes of fatigue is a deficiency in Vitamin B12. It’s responsible for the creation of red blood cells to help transport oxygen around your body. When you’re deficient, you’re likely to feel tired more often, but you might also suffer from other symptoms such as weight loss or muscle weakness. Vegetarians might be at greater risk, too – fish, meat and dairy are the biggest sources of B12. Keep your body topped up on energy boosting vitamins like B12 for a natural solution to fatigue. Magnesium is one of the wonder minerals of the body, as it’s used in hundreds of different chemical systems including muscle and blood sugar control. If you’re lacking in magnesium, your body is in trouble, and you’re likely to feel it with insomnia and weakness common. If you’re tired, can’t sleep and struggle for energy, increasing your magnesium intake could help you. Another wonder mineral in the body is Iron and for good reason, as it’s the main component in hemoglobin, which exists in the blood to move oxygen from your lungs to all of your vital organs. If you lack iron, there will be less hemoglobin in your blood to transport oxygen where it’s needed. Lack of oxygen will lead to fatigue, so be sure to check for an iron deficiency if you’re often tired. Scurvy – it brings back memories of pirates at sea, but it’s still a condition that can affect people today if you’re suffering from a significant Vitamin C deficiency. It’s used by the body to help make repairs and it’s a very useful antioxidant for removing harmful chemicals in the body. A deficiency in Vitamin C can lead to tiredness and muscle pain but thankfully, it’s easily remedied with a diet including oranges, strawberries or pineapples. Of course, if you want a quick boost, our IV infusion therapies could be a better way to get the energy boosting vitamins that you need. Folic Acid, or Vitamin B9, is used as a building block for your body to help create red blood cells, as well as creating DNA. If you lack B9, it can reduce the number of red blood cells in your body. Just like a B12 or Iron deficiency, if you’re deficient in B9, you could end up with anemia, where your body doesn’t have enough red blood cells for oxygen to travel. Anemia can leave you feeling weak, tired and short of breath, so keep your B9 levels high. Vitamin B6 is a brain booster that helps to create serotonin, a hormone in the body that helps regulate moods. It also helps in the creation of red blood cells, like the other B vitamins, as well as helping to process nutrients in the digestive system. Increasing your B6 intake by eating fish, for example, can boost your mood, and help your red blood count to make you feel less tired. Vitamin B1, or Thiamine, is one vitamin that’ll have a big impact on your energy levels if you’re deficient. It’s an important ingredient in the process of converting sugar you eat to energy for your bodies systems to work effectively. Without it, you could be at greater risk of hypoglycemia, where low blood sugar makes you feel weak, dizzy, and at risk of palpitations. Ensure a diet rich in fish, seeds, nuts, and beans for sufficient B1 intake, or take thiamine supplements if you feel you need to. The vitamin of sunshine, Vitamin D is the only one of the energy boosting vitamins that we can create ourselves just by being out in the sun. If you don’t like the sun though, or you’re inside for long periods of times then you could find your body suffering, as Vitamin D is linked to various maladies like high blood pressure and depression. The biggest impact of a vitamin D deficiency is on your bones – if you don’t have enough, you could end up with brittle bone diseases like osteoporosis in adults, or rickets in children. But as Vitamin D can have an impact on your heart and mind, a dose of sunshine (or a vitamin D supplement) every day could make you feel more energized. Vitamin E is an antioxidant, so like Vitamin C, it can be a useful aid to removing any harmful chemicals from your body. Thankfully Vitamin E deficiencies are very rare, but it doesn’t harm you to keep your levels topped up. The good news is you’ll find it very hard to take too much Vitamin E in your diet, but supplements could leave you to excess, where serious side effects could occur. Energy boosting vitamins like Vitamin E are a great natural way to clear your body of damaging chemicals. Modern diets can leave us lacking in common vitamins, especially if you choose a diet that lacks meat or dairy. If you’re lacking in any of the vitamins or minerals above, you could find that you’re struggling for energy often – along with more significant health concerns that could make you reliant on supplements. If you don’t like the idea of daily supplements, our IV infusion therapies could help you with a regular increase dosage of critical vitamins and minerals. If you’re thinking about an IV infusion to get your health back on track and want to learn more, read how the process works here.